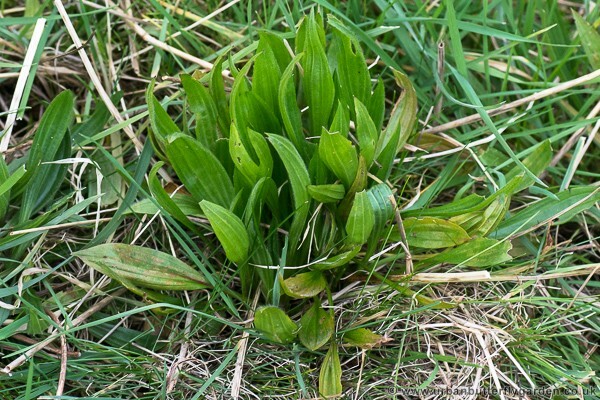 Mature plants grow to form a rosette of long and narrow dark green ribbed leaves. The flowers are cylindrical on long stems and may be seen April to September. 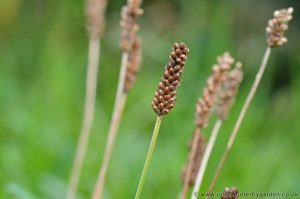 Generally Plantains (Plantago.ssp) are particularly drought tolerant and most often found growing in undisturbed and compacted calcareous (alkaline) soils. 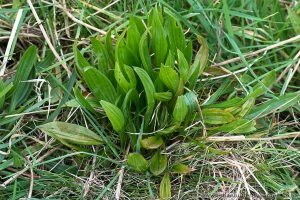 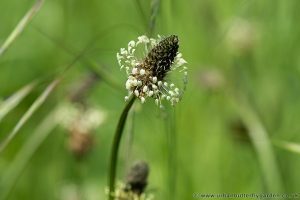 Adding plug plants or seeding an area with Ribwort Plantain should be considered in the early stages when creating and establishing a wildflower meadow of any size.